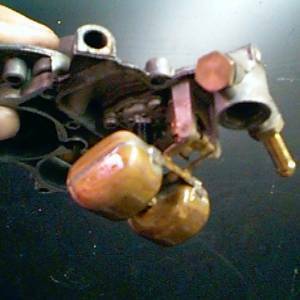 A single Weber downdraft is the most common carburetor replacement for drivability and performance. 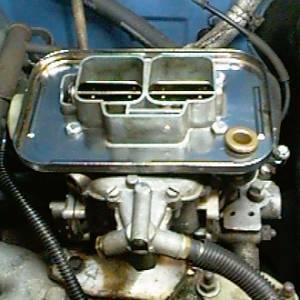 Often called the Weber 32/36, this carb is found on many older Datsun and Toyota cars and trucks. 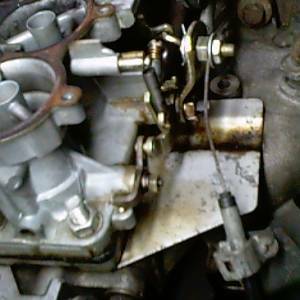 This carb when jetted down and used with a stock intake manifold will deliver very good torque and driveability with economy being reported from 22mpg up to 32mpg depending on gearing and driving habbits. 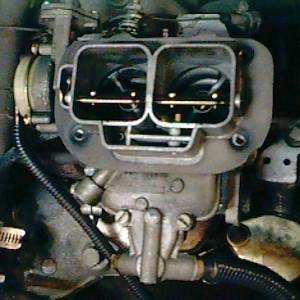 With a ported intake and head or aftermarket manifolds, this carburetor can still deliver some good horsepower. Most Weber downdrafts come with 135/135 jet sizes for primary and secondary. This size is generally good for 1.8L to 2.2L engines. 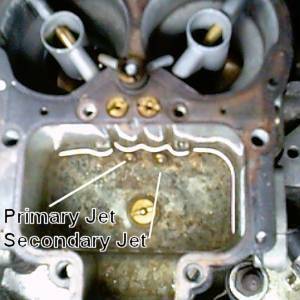 Installing smaller jets will help a smaller engine to produce slightly more torque and economy on the lower rpm range while taking away a little bit of top end power. I installed 125/115 jets in my L18. 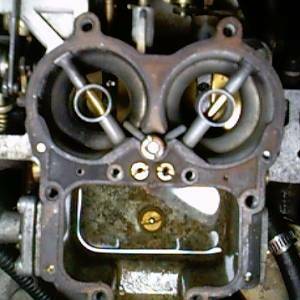 This resulted in about 1 mile per gallon increase and noticable torque increase below 3000 rpm. Here are some reference pictures of removing the top cover of the Weber to replace jets or fix the floats. After removing the air filter, the air filter base comes off with 4 bolts. After removing the air filter. Lower air filter base comes off with 4 bolts. Top cover off of carb. The floats hang gently on an arm. Bending this arm slighly up or down will set when the valve closes that allows fuel into the carb. Be careful not to bend this arm if you don't intend to adjust the fuel level. Top cover comes off with 6 bolts and the E-Clip removed from the choke arm. Fuel jets are at the bottom of the fuel bowl. You can buy a few of these at a hardware store or order a small package of them from Amazon at the link below. When purchased new, the Weber comes with a couple different options for connecting the throttle cable. Here is how I set mine up. 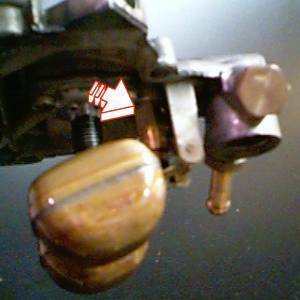 The throttle linkage from the factory Hitachi carb will also fit the Weber if you choose to go that route.